I think about the X-Men and what exactly they represent a lot. On the surface, being a mutant is a representation of being an outcast from society for some oddity. When used as a metaphor for societal issues, mutantism has been compared to being a person of color or being LGBTQ+. Again, these look great on the surface. Both are marginalized groups like the X-Men. Reading mutantism as a racial allegory has further parallels to civil rights, including a leader with X in the name, and the opposition between a peaceful, harmonious side, and a radical, more violence-accepting side. (Although the leaders would be switched in this case, as Malcolm X was the more radical leader, more akin to Magneto than Professor X.) Through this lens, we can see that the general public fears mutants based on the actions of the few, and not as a whole. They just happened to be born the way they are, just as the violent ones just happened to be born with superpowers. Reading the mutants as LGBTQ+ carries some of the same plot points, but with some more pointed references. In the movies—The Last Stand, specifically—a big deal is made about a “cure” for mutantism. Since society persecutes and fears those mutations, there is pressure to fix people and to make them want to “fix” themselves. This is similar to the idea of gay conversion therapy and “pray away the gay” camps, and the pressure of society to fit into a heteronormative structure. These points are driven home by the mother of a character asking “have they tried not being a mutant,” which is exactly as ridiculous as it sounds, and one mutant telling Rogue that they shouldn’t need to cure themselves and that they are fine as they are. Again, these are typically two of the major sides of this conflict in real life. In these ways, the metaphors are pretty useful in getting outsiders to empathize with the struggle. Things could probably be better. In other ways, however, these metaphors quickly fall apart. And that way is simply that people of color and queer people don’t have superpowers. Being queer or a person of color (or both) does not make someone an inherent threat. Going back to the race example, X-Men shows human discrimination against mutants, and some may feel that this mirrors white discrimination against Black people. But for that to be true, Black people would have to have some kind of inherent advantage over white people to cause mass fear. This applies to all groups of color. Professor X can invade your mind and manipulate your thoughts, Wolverine is pretty much invincible, Storm can literally control the weather, and these are just some of the obvious ones. Mutants absolutely have an inherent threatening quality, as would any superhuman, whereas people of color do not. This does not give people the right to deny basic rights to mutants such as housing, marriage, or that sort of thing, but a fear of them is totally justified. Basically, real-life racism is based on correlation, and mutant/fantasy racism here is based on causation. Fear of people of color comes from made-up fears or from the rare occasion that someone from that group did a thing. Fear of mutants comes from their innate abilities. This metaphor also falls short when dealing with the queer reading of the story. While sexuality is one’s own business, being a mutant could potentially endanger those around you, so there is a fair reason why someone close to you would want you to be “normal”. 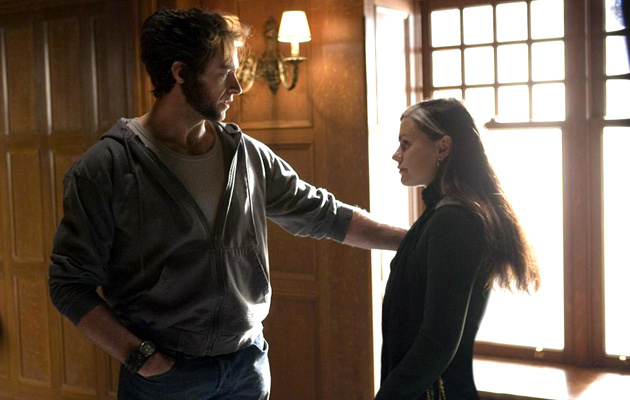 (Although the “have you tried not being a mutant” line is still one of the worst lines in cinematic history.) Beyond endangering others around you, there is personal discomfort involved, and all mutations are not equal. Being able to control the weather or read minds at will might be pretty cool—being covered in fur or killing anything you touch might not be so lovely. Normalcy could be the preferable option. But with sexuality, there isn’t much reason to want to change other than outside, unjust, societal factors causing you harm. Telling your friend that there’s no reason to change being gay is fine; telling them that they have to live the rest of their life not hugging/touching anyone is far different. And just as with the race parallel, LGBTQ+ folks don’t have any special powers, even if people would rather they be invisible. Besides these two types of metaphor breakdowns existing, it also creates an atmosphere where intersectionality is not discussed. To be specific, these worlds have prejudice, but the real-world counterparts are swept away. 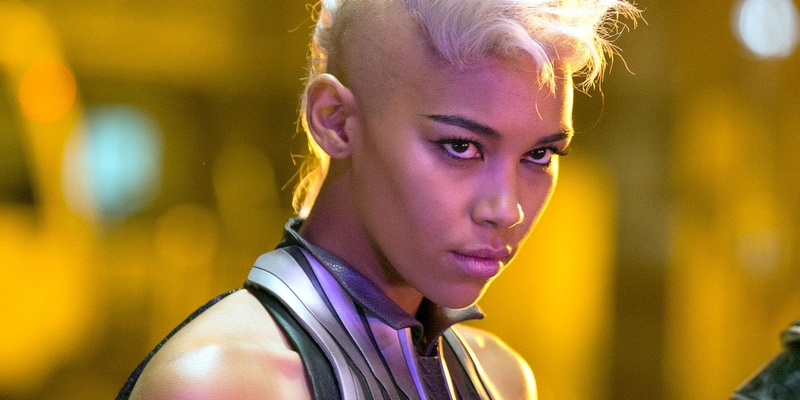 For example, what would it be like for a Black mutant, or a bisexual mutant? Would they have to deal with double the pressure, or would their mutant identity override other bigotry? Are there racist or homophobic mutants? Hopefully not, but then, are these identities completely ignored in these stories? I would like to hope not, but fantasy discrimination seems to be the only driving forces in these narratives. Although obviously in First Class, the director didn’t mind only killing an unkillable Black mutant. X-Men is far from the only series that does this, but it provides one of the easiest to explain examples of why reckless allegory can create false equivalencies. My previously mentioned example with Deus Ex is one, as are countless high fantasy stories with Orc, Elf, alien, etc. discrimination. Zootopia has caught criticism for this as well, so the problem exists even in kids’ entertainment where ideas and biases can be formed more easily. Overall, I think these types of allegory can have the potential to work with less problematic elements, and I don’t fault them for trying. Again, the surface level comparisons are excellent, and if they help calm down some bigotry, that is excellent. But, and this is a big but, we cannot be fast and loose with these metaphors, because we all lose if we get messages like “we should work together with people of color, but they could kill us at any time” or “we can accept queer folk, but they are weird and should want to cure it” from our media. It just takes some focus and forethought. If media wants to make some subjects more relatable, they should be sure to not do more harm than good. This entry was posted in Comics, LGBTQ+ Issues, Marvel Comics, Racial Issues, racism, Video Games, X-Men and tagged allegory, LGBTQ, metaphor, people of color, racial parallels, X-Men by brothadom. Bookmark the permalink. Thank you! I hate this SO MUCH. It’s not just the superhero genre either — you get the same kind of deal with vampires and werewolves and such. IN UNIVERSES WHERE VAMPIRES *ARE* HISTORICALLY HUMAN-KILLERS. Like…. did you not even stop for one moment to think about the implications of equating gay people with bloodthirsty, inhuman, supernatural beings who were made by violence and contagion, and are totally blasé about murdering humans? No?